The professionals of Masters Legacy Planning bring together the various disciplines of the planning process to provide you with extensive individual expertise in each discipline. Our staff includes accomplished specialists with experience as certified public accountants, CERTIFIED FINANCIAL PLANNER™ (CFP®) practitioners, investment advisors, planners, and insurance managers who together offer years of skill, knowledge, and expertise. As a third-generation member of the family-owned business, Todd has been working with professionals, business owners, and retirees since 1991. He specializes in wealth management, estate planning, philanthropic giving, and asset preservation. 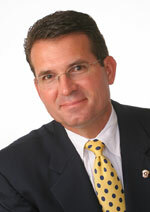 Todd is a member of the New Jersey Society of CPAs, and the American Institute of CPAs. Todd’s earlier roles as a certified public accountant (CPA) and a CERTIFIED FINANCIAL PLANNER™ (CFP®) practitioner are now assumed by members of his team as he turns his primary focus to assisting clients with reaching strategic level goals. Todd currently serves on the Board of Trustees of the Ocean City Tabernacle and the Finance Committee of AtlantiCare Regional Medical Center, Egg Harbor Township, New Jersey. An avid boater, Todd lives with his wife, Sarah, in Ocean City, New Jersey. They are the proud parents of four children—a daughter, Cate, and triplets, Peter, Alex, and Samantha. Jacob began his professional career in 1990 after completing his MBA in finance and international business at the University of South Carolina. 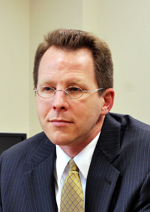 His expertise is in overseeing the financial affairs of select families and businesses referred to us by our clients. Jacob is an active volunteer at his church and with the Ocean City youth athletic programs. When not at work, he enjoys bicycling and camping with his family. Jacob and his family live in Ocean City, New Jersey. He is a CERTIFIED FINANCIAL PLANNER™ (CFP®) Practitioner and a Registered Representative of Commonwealth Financial Network®, member FINRA.